As it was mentioned before in FPs and threads on the Board, it's interesting to figure how many fishing days will it take to crack the code fly fishing certain waters/fish. In the past I had a hard time when I switched the mode from exclusively fly fishing for chub to exclusively fly fishing for trout. In 1995 I hooked my first brown trout on a foam beetle dry fly by accident, while fishing for chub. 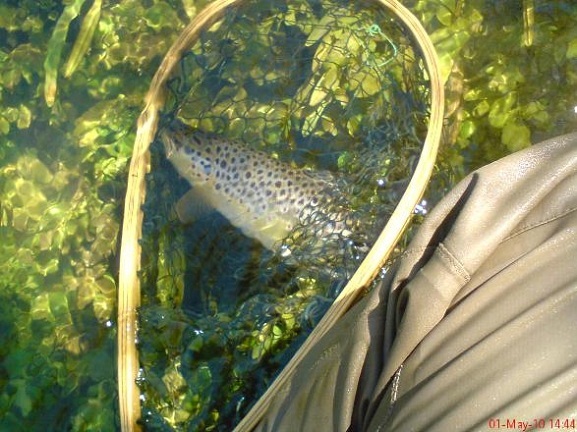 Next brown I hooked was on a traditional English dry fly in 1998, this time I was fishing for trout on purpose. From 1998 to 2003 I gradually switched my focus to trout, only to find that fly fishing my local waters was quite difficult comparing to when fishing for chub. I had some UK fly fishing magazines from 1996 and I start reading them, because I felt I lack the know-how. 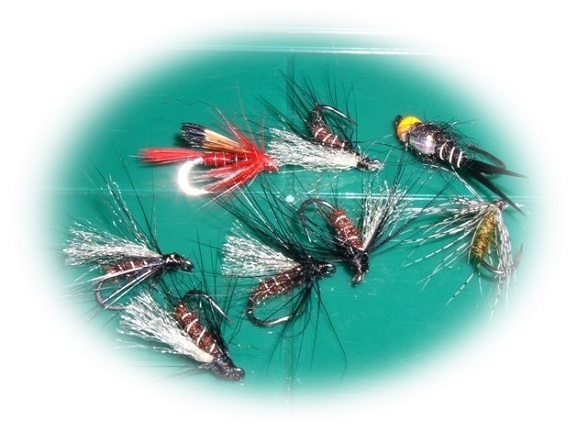 I learned more about fly patterns and how to fish them, but very often most of the info was more related to stillwaters, while I was after river trout. One day I got a phone call from an American gentleman from the local US Embassy, regarding a fly fishing article I had written for a local fishing magazine in 1998. He was a keen fly fisherman and we met for a lunch having a good talk about fly fishing. His name was James Hutchison and the next time I heard from him, was a couple of days later via the local postman who brought me 30 or so American fly fishing magazines from Mr.Hutchison's personal collection - Fly Fisherman, Fly Rod and Reel and American Angler! It was a generous gift I can only be very grateful to receive and will always remember, so thank you very much Mr.Hutchison! I didnt meet or hear from the gentleman anymore, but the stuff I learned from the mags improved my fly fishing efforts for trout immensely! Suddenly I was able to start cracking the code on local trout waters, recognising valid problems being successfully solved in terms of both tactics or fly patterns used in trout rivers abroad. Cracking the code for chub in my local waters took me 7 years, for the brown trout it took me less time to start scratching the surface because of these magazines - otherwise it could have taken me a much, much longer time! And then of course all it takes is practice, and more practice, until you are confident and able to catch trout on any river, anywhere, even on totally unfamiliar waters. For my local trout waters I would estimate that close to a 100 fishing days for any 10km of river section, spread within no more than a 3 seasons in a row or less, is a rather good period of learning time to start cracking the code for that section. Doing 300 fishing days a season on the one and the same water would be ovekill and maybe boring too, so those 300 days are maybe good for a travelling fly angler, visiting different waters with their own set of peculiar problems, but it would be hardly entertaining or enlightening in terms of learning something new if fishing the same piece water for all that time. But also I have to mention the fact of the dynamics of river fishing - the conditions are constantly changing, so even if you have a 100+ days on a given piece of water, but didn't fish it for say a couple of months, not to mention for more than a season... then it's maybe a different game entirely! Remember - you can't enter the same river twice, as the wise man said!